The Vice-Chancellor of Ladoke Akintola University of Technology (LAUTECH), Ogbomoso, Professor Suleiman Gbadegesin, on Monday said that the institution had received 500 million naira from the governments of Osun and Oyo state for the payment of outstanding staff salary. Gbadegeshin disclosed this when he appeared before the State House of Assembly to defend the University’s N9.9 billion budget for 2017 in Osogbo. He said that the institution received a credit alert of 250 million naira each from Osun and Oyo government. While thanking Governor Rauf Aregbesola of Osun and his Oyo counterpart, Abiola Ajimobi for their efforts in ensuring reopening of the university, he said the money would go a long way in resolving the arrears of staff salary in the institution. 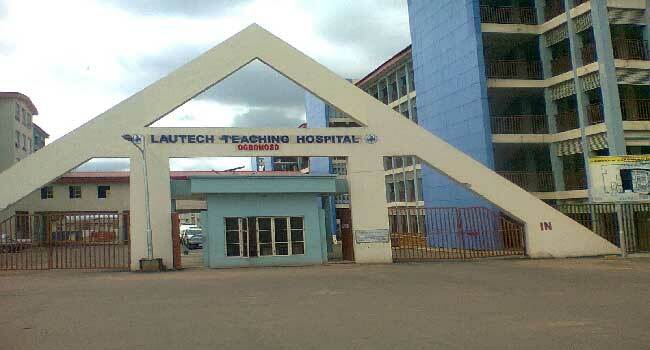 LAUTECH staff had been on strike in the last eight months over nonpayment of salary arrears. The university is jointly owned and funded by Osun and Oyo State Government. In his remarks, the House Committee Chairman on Finance and Appropriation, Mr Kamil Oyedele, said the Assembly would continue to give its support for growth and development of the university. Business and commercial activities were disrupted for hours on Monday in Ibadan as students of Ladoke Akintola University of Technology (LAUTECH) took to the streets protesting the closure of the school since May 2017. The students in their hundreds stormed the Oyo state secretariat demanding to see the Governor to explain why the school has remained unopened for eight months despite all entreaties. Reacting to the protest, Gov. Abiola Ajimobi described the protest as needless as efforts are underway to re-open the institution latest by the end of the January. He said a meeting had been scheduled between the two governors, the management of the institution and the labour unions in the school for Wednesday, January 11 for final deliberations that would lead to the opening of the school. Governor Ajimobi said the two states are looking for every opportunity to improve on the quality of education and provide a conducive learning environment for the students in the state. Gov, Ajimobi further disclosed that as a result of series of consultation among all stakeholders, Oyo state Government in collaboration with the Government of the state of Osun have agreed to raise the sum of 500 million Naira for the immediate re opening of the Ladoke Akintola University of Technology, Ogbomoso. While responding to questions from the students regarding a possible increment in school fee, Governor Ajimobi said a visitation panel headed by Wole Olanipekun SAN had been set up to look into all issues that will enhance a smooth running of the school. 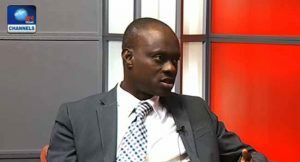 He stressed that their recommendations would determine the position of Government on school fees. Governor Ajimobi who frowned at the manner with which the protest was carried out, however admonished the students to shun all manner of unruly behaviour, respect constituted authority and be ready to engage through dialogue and consultations. The Governor made the same promise in a statement by his spokesman, Mr Yomi Layinka, after a meeting with the national, zonal and state leadership of the students’ unions in his office, three days earlier. The Governor of Oyo State, Mr Abiola Ajimobi, says he is collaborating with his Osun State counterpart, Mr Rauf Aregbesola, to ensure that academic activities resume at the Ladoke Akintola University of Technology, Ogbomoso, latest by the end of January. The governor dropped the hint in a statement by his spokesman Mr Yomi Layinka, after a meeting with the national, zonal and state leadership of the students’ unions in his office, on Friday evening. Ajimobi said that the decision was reached after another round of discussions by the stakeholders including Aregbesola and LAUTECH Vice Chancellor, Professor. Adeniyi Gbadegesin, aimed at finding a lasting solution to the debacle. The university had been grounded for close to eight months due to the strike by the academic and non-academic staff of the university over unpaid salaries and emoluments. 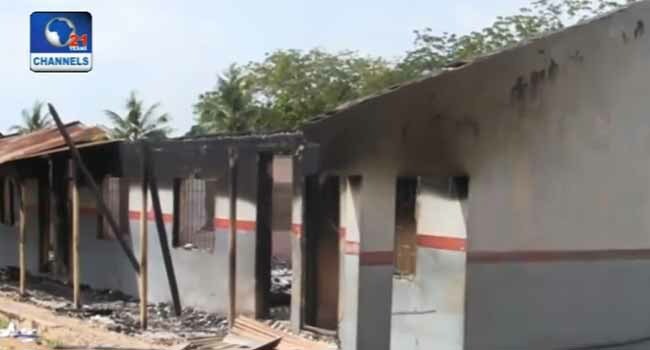 Meanwhile, in another development, the statement added that Ajimobi had ordered the immediate reopening of the five secondary schools shut in the wake of students’ arson attack on some schools in protest against the cancellation of automatic promotion in public schools. The affected schools are Isale Oyo Community High School, Oyo; Anglican Methodist Secondary School, Oyo; Oba Adeyemi High School, Oyo; Ojoo High School, Ibadan; and Community Secondary School, Iyana Idi Ose, Ibadan. Ajimobi said he took the decision in deference to pleas by stakeholders and respected members of the society that the schools be reopened. On the LAUTECH prolonged strike, Mr Ajimobi and Aregbesola, had led top officials of the state to a meeting in Ibadan, last October, to proffer a lasting to the lingering disagreement. Representatives of the two owner states had met last Tuesday in Osogbo to agree on the way out of the crisis prior to Friday’s round of talks culminating in the agreement to reopen the school. In the furtherance of the consultations, Governor Ajimobi had again met with the representatives of the students unions at the Executive Council chambers of his office, on Friday. The team was led by the Senate President of the National Association of Nigerian Students, Salam Olajide; General Secretary, NANS, South-West zone, Olanrewaju Oloja; and General Secretary, Joint Campus Committee, NANS, Oyo State, Farouk Musa. A statement issued after the meeting read: “The delegation had sought audience with the governor to plead with him to facilitate the urgent reopening of the university. “While thanking the student delegation for their concerns, the governor explained that the two owner states regret the huge loss of valuable time to all stakeholders, especially the students whose academic calendar has been significantly disrupted by the prolonged closure. “He, however, stated that this was due to the constraints currently being experienced on account of the debilitating effects of the recession on the two governor’s capacities to meet the demands of the striking workers. “He regretted the fact that despite all efforts at persuading the striking workers to resume they refused to yield grounds. He, however, announced that the schools would be reopened on or before February 1 going by the level of his discussions with his Osun State counterpart, Ogbeni Rauf Aregbesola. “With today’s pronouncement, it is hoped that all stakeholders including the management, staff and students of LAUTECH will begin to put adequate machinery in place preparatory to full resumption of academic and non-academic activities in the university”.